TITLE: Why do I have to pay for my meds? Seriously? After the last mission I was nearly flash frozen and killed. The doctors say I need pain medication, and then on top of THAT I need those pink pills to keep the flashbacks down. Now they say I have to pay for them myself? Twenty-k a month barely covers rent on the base (which you are charging us for!) and now I have to pay to keep the images of giant squids out of my mind? Come on, man. You know what it's like to be one of us grunts, give us a break! TITLE: Otto Zander - has invited you! This message is an auto-reply from a Triton sub that has landed in-battle. The current progress can be viewed at the links below. X-COM Soldiers attending: Heavy Neutrino, Professor Bling, Zyla, Urcinius, Nemo2342, Sejs Cube, Joan Makille, Zaa Boogie, C Wren, Hbar. This message is an auto-reply from a Triton sub that has landed in-battle. The results of the combat are below. Major victory for X-COM. 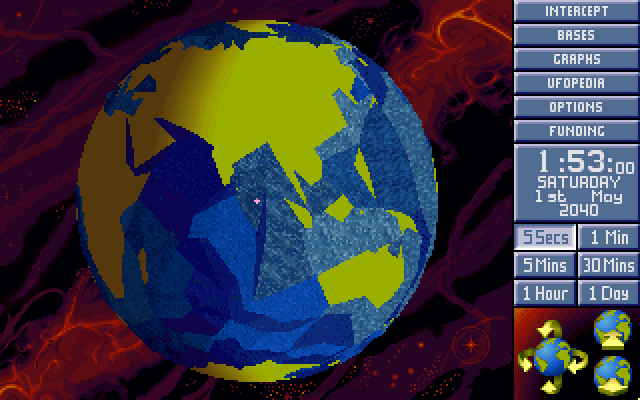 Possibly because X-COM was being played by me. C Wren knocked unconscious, but survives. All other soldiers killed. Live Deep One Terrorist Captured. Thermal Shock Launcher captured. Thermic Lance captured. Otto, I've just received an interesting email from one of our Junior scientists, that kooky German guy again. I think he's on to something big. Gaston, habe ich es herausgefunden! Der tiefe Kern ist ein Miniionenlichtstrahlgaspedaldevicen, und ich denke, dass ich herausfand, wie man es wiederholt! Unsere Pläne für erhöhte übermensch ist jetzt eine Wirklichkeit. Dieses ist hervorragend! 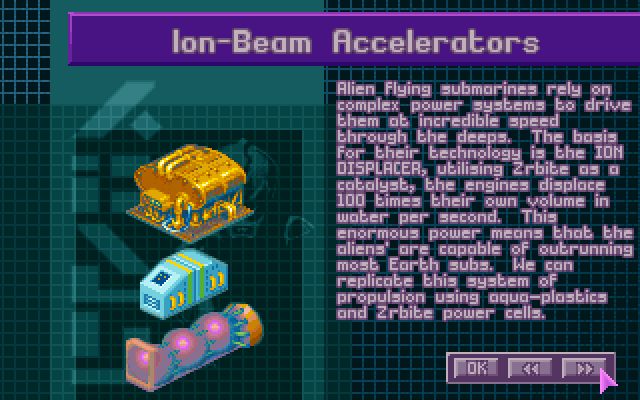 The something-gas-pedal-device is what he calls the Ion Beam Accelerator, and I think he's found a way to miniaturize it somehow. I don't know. His science is either completely insane, or on a level so far above us that no one else here can understand him. And not just because it's in German.